This is the old homepage of Sophien Kamoun's lab at TSL. For the new homepage, please visit http://KamounLab.net. [May 26-28, 2012] The Oomycete Molecular Genetics Network Annual Meeting is taking place in Nanjing, China, this year. Read the meeting updates for day 1, day 2, and day 3. Sophien's post-conference reflections can be also found on the scoop.it page. 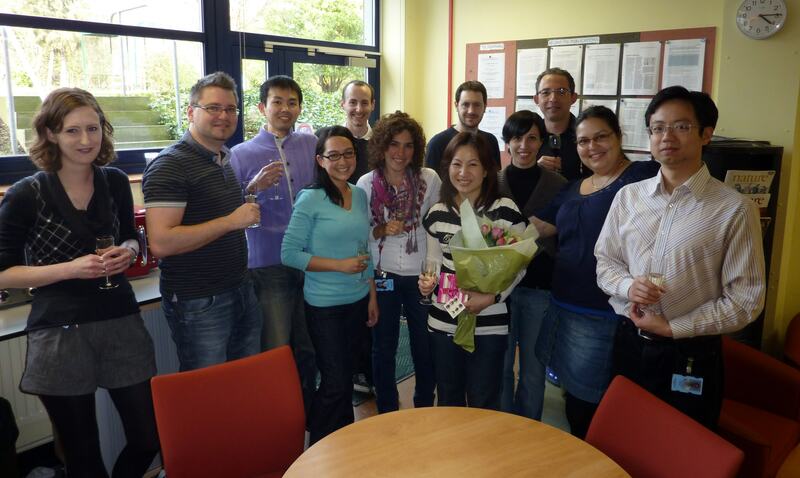 [March 30, 2012] Kamoun Lab wishing farewell to Krissana Kowitwanich. Countries represented: England, Germany, Japan, Colombia, France, Argentina, Spain, Thailand, Turkey, Tunisia, USA, China. Not photographed: Burma/New Zealand, Bielarus, and Greece. 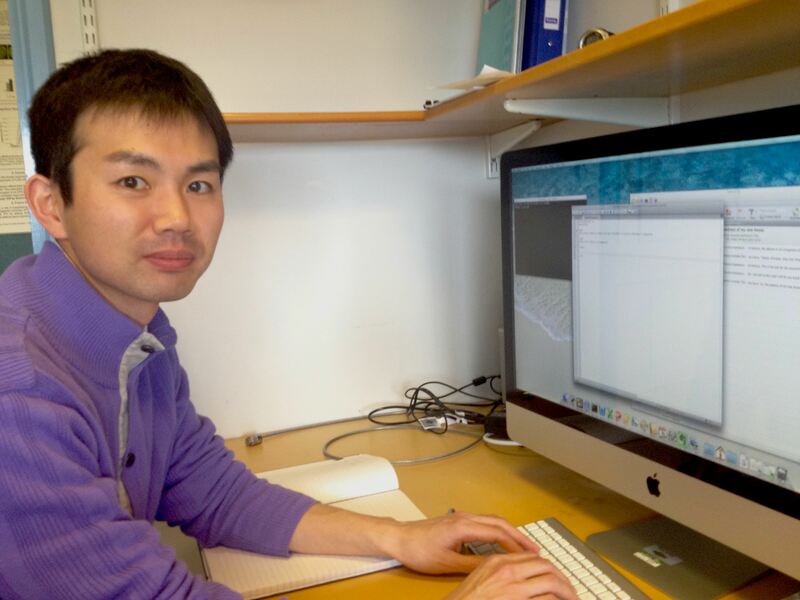 [March 5, 2012] We welcome Kentaro Yoshida to the lab! He is funded by a fellowship from the Japanese Society for the Promotion of Science (JSPS). Kentaro previously worked on genomics and effector biology of the rice blast pathogen with Ryohei Terauchi at the Iwate Biotechnology Research Center. [February, 2012] Oomycetes: the new cover girls. [December 2, 2011] Now online: Sophien's talk presented at the Cold Spring Harbor Laboratory meeting on Plant Genomes & Biotechnology. 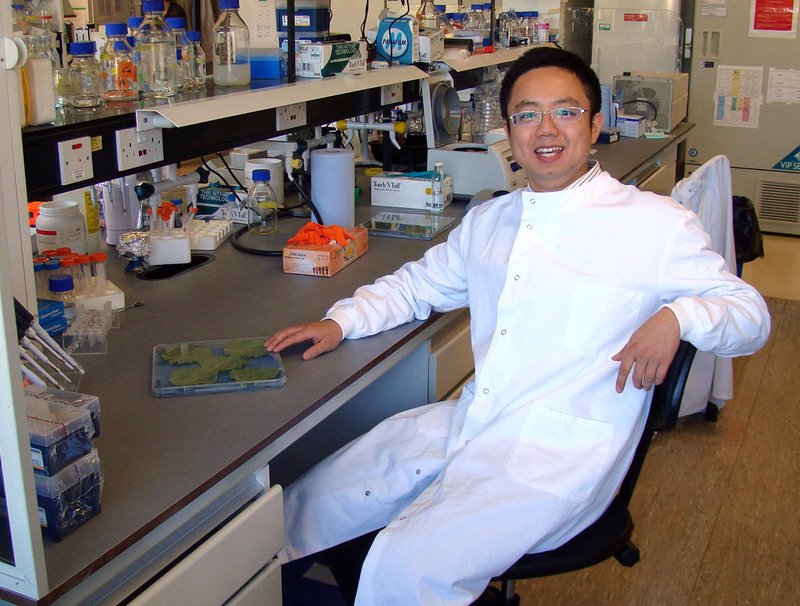 [November 1, 2011] We welcome Suomeng Dong to the lab! Suomeng was previously at Nanjing University and with @markgijzen at Agriculture Canada. Read Suomeng's most recent paper in PLoS Pathogens. [October 30, 2011] Our book 'Effectors in Plant-Microbe Interactions' will be available in January 2012 and can already be ordered on Wiley's web site. Thanks much to all the authors and reviewers for their contributions. Special thanks to Francis Martin for leading the project. 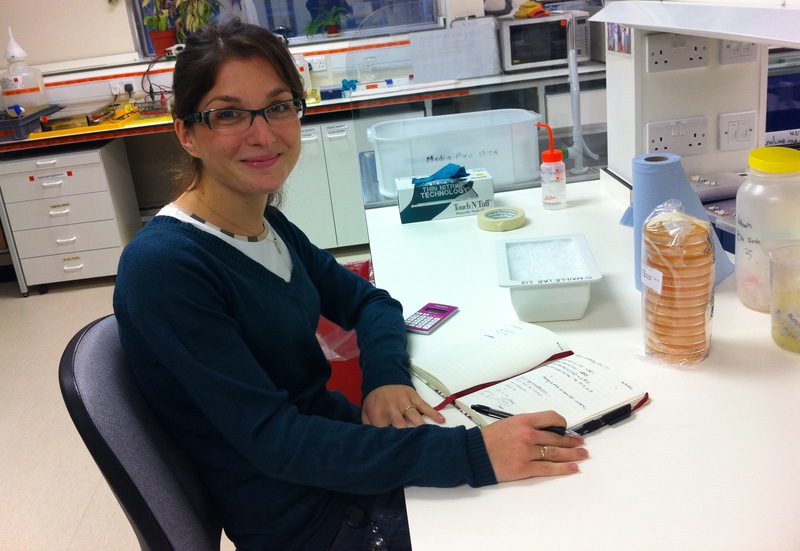 [October 1, 2011] We welcome Artemis Giannakopoulou, a joint PhD student with Paul O'Maille at JIC Department of Metabolic Biology. She is funded by a Norwich Research Park Fellowship. Artemis previously studied with Dimitrios Tsitsigiannis at the Agricultural University of Athens. [July 23, 2011] Check and follow our new scoop.it pages: "Plants and Microbes" and "Plant Pathogenomics". Also, keep track of lab updates with this new "Publications" site. [July 15, 2011] Congrats to Liliana Cano for receving the 2011 John Innes Foundation "Excellence in Science Communication" Award. 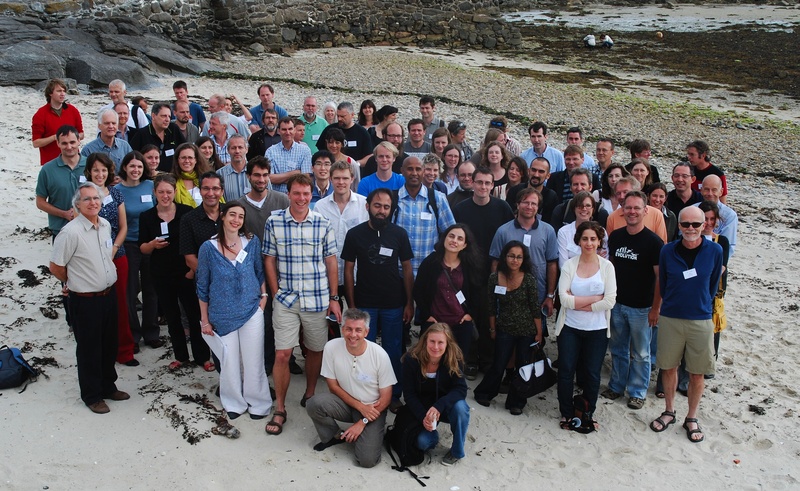 [June 25-29, 2011] Group photo from New and Emerging Fungal Diseases of Animals and Plants, Roscoff, France. Tweets archived here: hashtag #nefdpa. [June 23, 2011] The agroinfiltration movie (with music). Credits: Jing Song, The Ohio State University. [May 23, 2011] Great news! Diane Saunders application for a Leverhulme Trust Early Career Fellowship was approved. Congrats Diane! 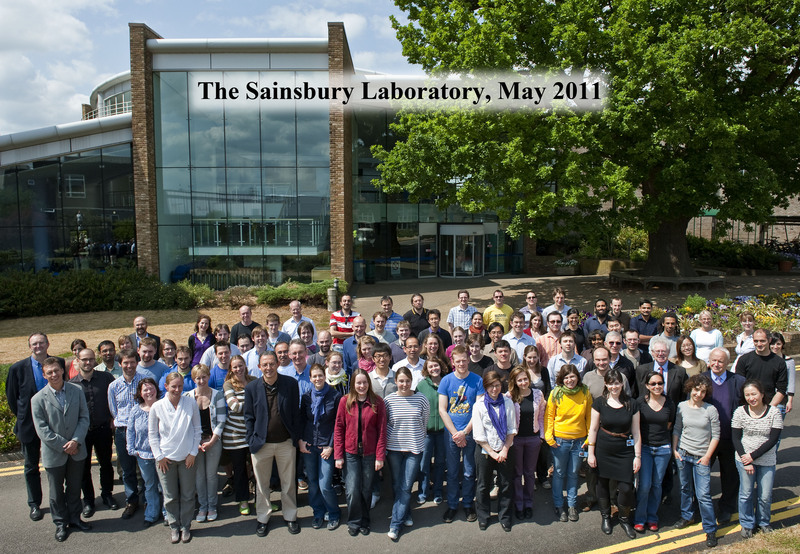 [May 19, 2011] The Sainsbury Laboratory, May 2011. [February 12, 2011] Prestigious Norwich Research Park Ph.D. studentship available in the labs of Paul O'Maille (John Innes Centre) & Sophien Kamoun (The Sainsbury Lab) to study resistance to the plant pathogen Phytophthora. EU students are eligible. Please apply by March 1. [February 5, 2011] Notes on Sophien's talk at the Advances in Genome Biology and Technology (AGBT) conference from the blog of Anthony Fejes. [January 4, 2011] We welcome to the lab our first Thai scientist: Krissana Kowitwanich. Krissana is working closely with her first mentor Diane Saunders. [December 10, 2010] Our Raffaele, Farrer, Cano et al. paper on the impact of host jumps on genome evolution in the Phytophthora infestans clade 1c lineage is published in Science. Check some of the news reports: Nature News, Popular Mechanics, BBSRC. [December 10, 2010] The oomycete Hyaloperonospora arabidopsidis on the cover of Science!!! At least no rotten potatoes this time. 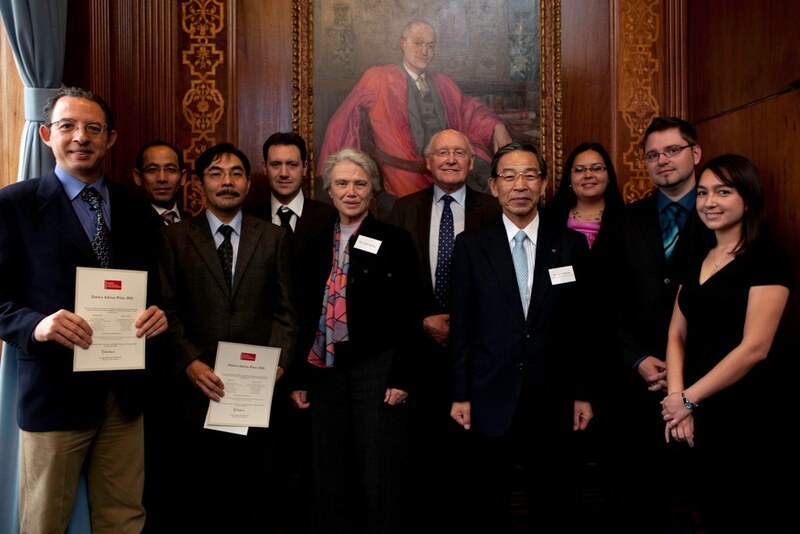 [December 2, 2010] Great day at the Royal Society for the ceremony of the 2010 Daiwa Adrian Prize for scientific collaboration received jointly with Dr. Ryohei Terauchi, Iwate Biotechnology Research Institute, Japan. [November 16, 2010] Now online: Video streams of the talks presented at the Annual Plant Sciences Institute Mini-Symposium: Effectors of Plant Pathogens, organized by Iowa State University. Check Sophien's talk "Suppression of plant immunity by oomycete effectors". [October 26-28, 2010] We are hosting Anoma Lokossou and Vivianne Vleeshouwers, Wageningen University. Great discussions! Effectoromics rocks! [October 20-25, 2010] Lab retreat in Tunisia. Check the photos: album 1: arrival in Tunis, Tozeur and Oasis, album 2: Sahara, album 3: Espace Zmorda and Sidi Bou Said, album 4: Medina de Tunis. [September 17, 2010] Shocking news. Our previous home, The Ohio Agricultural Research and Development Center (OARDC) in Wooster, Ohio, was hit by a destructive tornado. Our thoughts and sympathy to our colleagues and friends. [August 17, 2010] Just posted: Highlights of the Oomycete Molecular Genetics Network (OMGN) in Toulouse, France, June 2010. [August 16, 2010] We are hosting Rachael Wilkinson, University of Warwick, as part of our joint Undergrad Summer Research Programme with the John Innes Centre. [July 1-2, 2010] Dennis Halterman, USDA/ARS Department of Plant Pathology, University of Wisconsin-Madison, visited the lab and presented the seminar "Deceit, stealth, and defense: Spying on molecules involved in potato disease resistance". [June 10, 2010] Mark Gijzen, Agriculture and Agri-Food Canada, London, Ontario, stopped by the lab and presented a talk on Phytophthora sojae-soybean interactions. 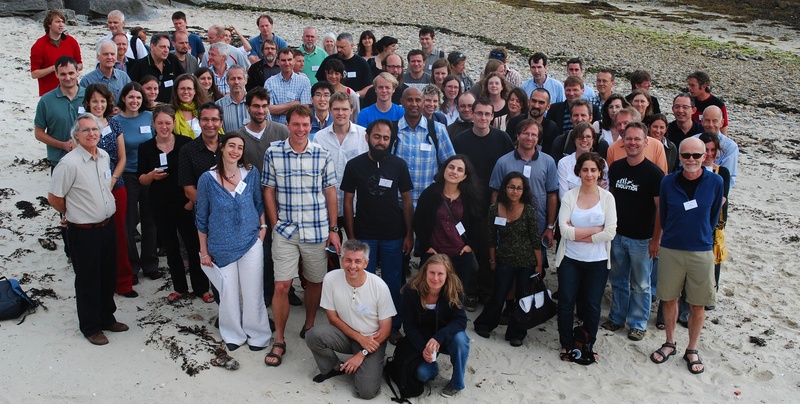 [June 6-8, 2010] Most of the lab attended the Oomycete Molecular Genetics Network Annual Meeting in Toulouse, France. 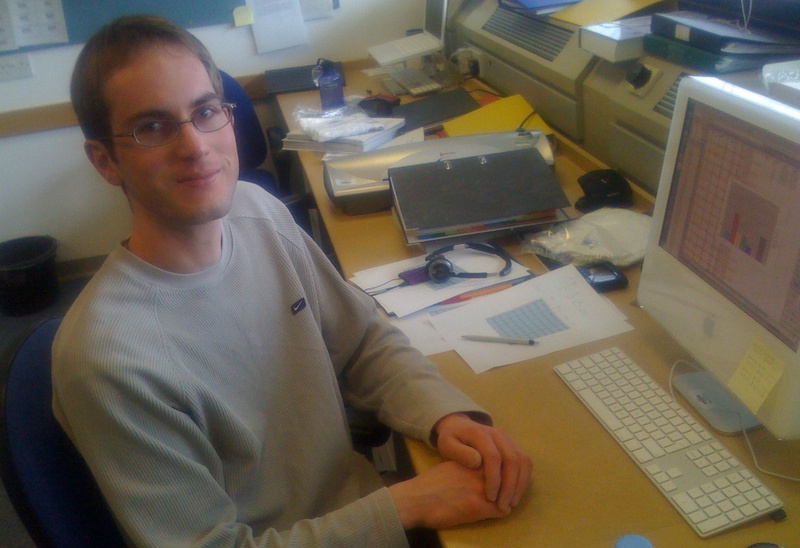 [June 4, 2010] Farewell to Remco Stam who will be joining Edgar Huitema's lab in Dundee, Scotland. [May 26, 2010] Potatoes in a Helsinki market. [March 9, 2010] Sophien Kamoun's ResearcherID Profile posted. [February 27, 2010] Congratulations to Diane Saunders for publishing her thesis work in Plant Cell: Cell Cycle-Mediated Regulation of Plant Infection by the Rice Blast Fungus. [February 14, 2010] Click here to watch the talks presented at Friends of John Innes Centre event on food security. [February 1, 2010] Review article "Emerging concepts in effector biology of plant-associated organisms" is a Fast Breaking paper according to Thomson Reuters. Read the interview here. 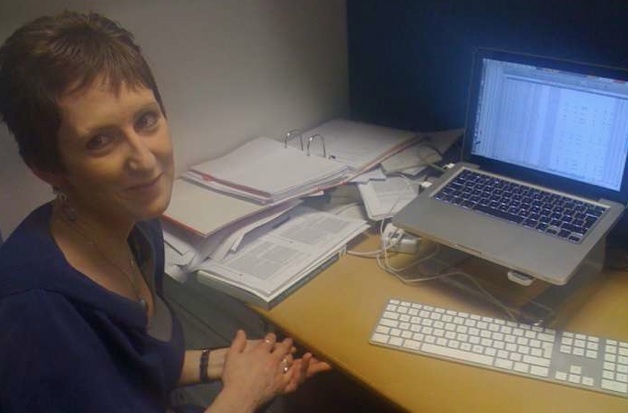 [January 3, 2010] New lab member: Diane Saunders, previously a PhD student with Nick Talbot, University of Exeter. [December 22, 2009] Congratulations to Sylvain Raffaele for being awarded a Marie Curie Individual Fellowship grant. [December 11, 2009] Sebastian Schornack co-disovered the amino acid to DNA code which explains how bacterial effectors bind to specific host plant DNA sequences. Read about this work in Science. [October 4, 2009] Potato late blight photos from Northwest China, Shanxi and Ningxia provinces. Courtesy of Suomeng Dong, Nanjing Agricultural University. 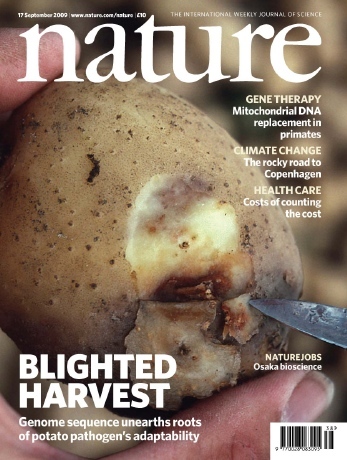 [September 17, 2009] A rotten potato on the cover of Nature! Genome sequence of the Irish potato famine pathogen Phytophthora infestans published. Links to the press coverage can be found here. [September 16, 2009] Click here for the highlights of the New Phytologist Symposium "Effectors in plant-microbe interactions", INRA Versailles Research Centre, Paris, France, 13-16 September 2009. [July 24, 2009] Click here for the highlights of the International Congress of Molecular Plant-Microbe Interactions in Quebec City. [July 4, 2009] Congratulations to Edgar Huitema for being awarderd a Royal Society of Edinburgh (RSE)/Scottish Government Marie Curie Research Fellowship. Well done Edgar! 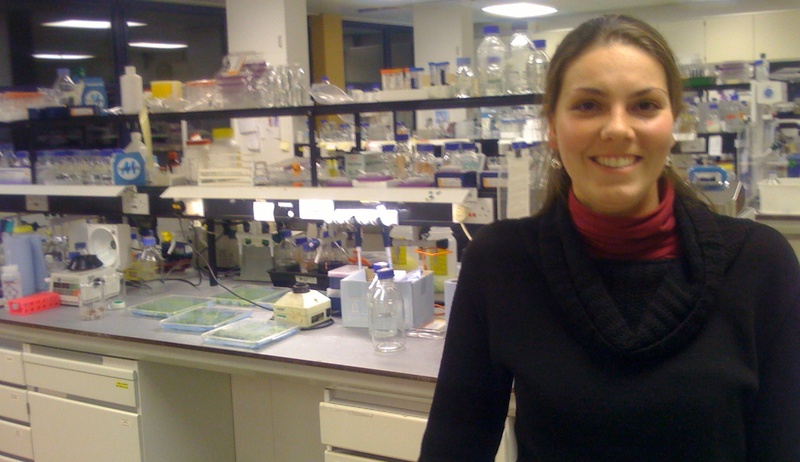 [June 23, 2009] We welcome to the lab Maria Eugenia Segretin, Institute for Research in Genetic Engineering and Molecular Biology (INGEBI), Buenos Aires, Argentina. She is supported by a fellowship from CONICET. [June 21, 2009] Great advice on being a successful graduate student from John Thompson, UC Santa Cruz. [May 29, 2009] Our collaborators Kentaro Yoshida and Hiromasa Saitoh were featured in a Plant Cell Author Profile in association with their recent publication on the cloning of three avirulence genes from the rice blast pathogen. Congratulations! [May 26, 2009] Congratulations to Sylvain Raffaele for the publication in Plant Cell of his postdoctoral work on the role of remorin in viral movement. Sylvain was featured in an Author Profile. 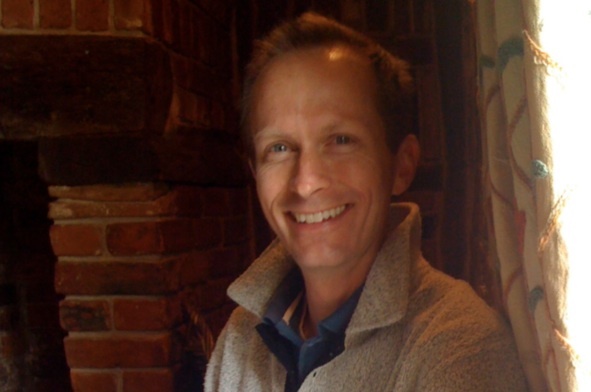 [April 6, 2009] We welcome Marco Thines, University of Hohenheim, Germany, to the lab. Marco received a fellowship from the Max Planck Society to spend a sabbatical at TSL and expand his work on oomycete comparative genomics. [March 15-17, 2009] It will come as a surprise to many: Paul Birch and the Scottish Crop Research Institute have relocated to Dunde, Uruguay, according to his Fungal Genetics Conference badge! 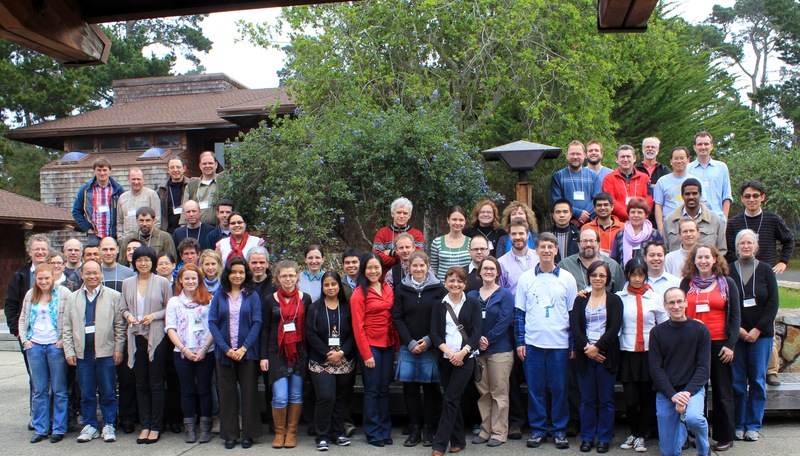 [March 15-17, 2009] Here is a link to the high-definition group photo (2 Mb) from the meeting of the Oomycete Molecular Genetics Network (OMGN) in Asilomar, California, courtesy of Pieter van West. Click here for more photos. [March 12-13, 2009] Travel mementoes. Admiring the view of the Golden Gate Bridge and San Francisco on the way to the Oomycete Molecular Genetics Network Meeting and Fungal Genetics Conference in Asilomar; Rhys Farrer's birthday celebration in Asilomar; and of course some science with Joe Win posing in front of his poster. [March 12-13, 2009] Travel mementoes: Plant Pathology Department at Kansas State University. (left) Another case of a heavily highlighted paper; this time by Kansas State Ph.D. student Ismael Badillo. (right) A memorable visit with the lab of Barbara Valent, here posing with their priceless gift: a bottle of Colombian aguardiente! [March 4, 2009] Our colleague Elli Gilroy at the Scottish Crop Research Institute designed a computer game "You choose the news" to help raise awareness among youngsters of media biases in reporting on GM and other scientific issues. Feel free to pass on the link to anyone else who might have a laugh or actually use it for the purpose for which it was designed. Hopefully, this will help engage the public in our work and teach them about how the media should be reporting fairly. Also, you might enjoy reocgnizing some familar faces among the actors. [March 2, 2009] Simon Schwizer, previously at the University of Zurich, Switzerland, and the lab of Beat Keller joined the lab as a predoc. [February 16, 2009] We are hosting Ilyas Muhammad, a Ph.D. student in the lab of Renier van der Hoorn as part of our collaborative work on the role of plant proteases in immunity. [January 30, 2009] Registration is open for the 22nd New Phytologist Symposium "Effectors in plant-microbe interactions", INRA Versailles Research Centre, Paris, France, 13-16 September 2009. [January 18-28, 2009] Travel mementoes. Visiting collaborators and friends in Japan and Korea. From left to right: Ken Shirasu at Riken Plant Science Center, Ryohei Terauchi at the Iwate Biotechnology Research Center, and Doil Choi at Seoul National University. [December 3-4, 2008] We hosted Mike Coffey, Department of Plant Pathology and Microbiology, University of California, Riverside, to discuss collaborative work on natural variation in Phytophthora. Mike gave an inspiring seminar titled "The Plant Destroyer: A Global Perspective Using Nuclear and Mitochondrial Genome Sequences to Study Diversity in Phytophthora" during which he described the World Phytophthora Collection that he curates. [November 20, 2008] Estelle Verzaux, a graduate student at the Plant Breeding Department, Wageningen UR, visited the lab for a collaborative project involving the group of Cyril Zipfel. [October 29, 2008] Farewell Jorunn! After more than six years, Jorunn Bos is leaving the lab. She will be dearly missed for many reasons including her no-nonsense and professional attitude. Jorunn will not be drifting too far though as she will be joining the lab of Saskia Hogenhout at the John Innes Centre to work on aphid-plant interactions. Obviously, Jorunn knows better than US vice presidential candidate Sarah Palin who recently ridiculed research on insects (fruit flies). Read this interesting commentary in Science on the topic. [October 28, 2008] John Draper, University of Wales, Aberystwyth, and his graduate student Stuart Snowden visited the lab. John gave a seminar titled "Metabolic re-programming following rice blast infection". [October 16, 2008] We hosted Doil Choi and Sang-Keun Oh, Seoul National University, Republic of Korea, to discuss collaborative work on Phytophthora capsici. Sang-Keun was a member of the the lab at Ohio State and presented a seminar on his most recent work. Doil gave a seminar describing his group's work on genome sequencing of chromosome 2 of tomato as well as their activities in pepper genomics. Click here to find out more about Doil's previous lab at the Korea Research Institute of Bioscience & Biotechnology. 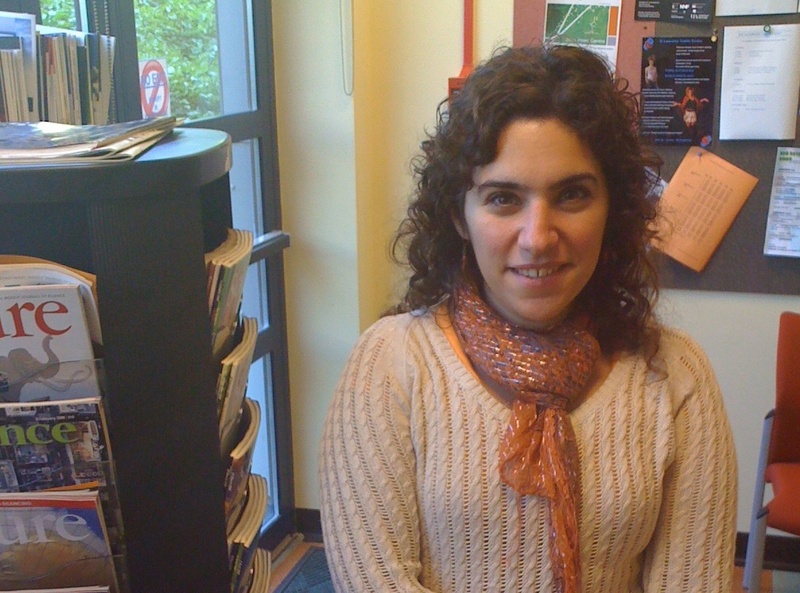 [October 15, 2008] Farewell to Miriam who is returning to Pamplona, Spain, after completing her internship. [October 11, 2008] Human evolution stopping? Wrong, wrong, wrong. Steve Jones, University College London, presented a much debated lecture at the recent JIC/TSL Annual Science Meeting. Read this convincing point-by-point rebuttal of Steve Jones thesis from a leading evolution blogger. [October 6, 2008] Celebration time! Sebastian Schornack was awarded a 2-year fellowship from the Deutsche Forschungsgemeinschaft (German Research Foundation). Prost! [October 6, 2008] Sylvain Raffaele, Laboratoire de Biogenese Membranaire, University of Bordeaux, France, joined the lab. He plans to remain glued to the computer for some time. [September 30, 2008] Marty Dickman, Director of the Institute of Plant Genomics and Biotechnology, Texas A&M University, visited the lab and presented a seminar titled 'Death be not Proud: Modulation of Programmed Cell Death for Disease Development/Stress Tolerance in Plants'. [September 25, 2008] We welcome back Angela Chaparro-Garcia! Angela did an internship in the lab back in Ohio and then joined the lab of Denise Ferkey, SUNY Buffalo, for 1 year to work on chemosensory behavior in C. elegans. A quick sip of champagne with her mentor Jorunn Bos and then off to the bench! 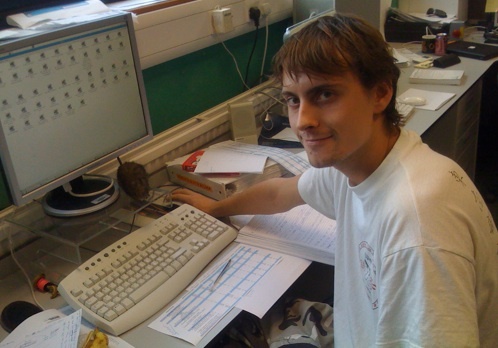 [September 15, 2008] Rhys Farrer, who recently finished an MSc in bioinformatics at the University of East Anglia joined the lab to work on comparative genomics of Phytophthora spp. 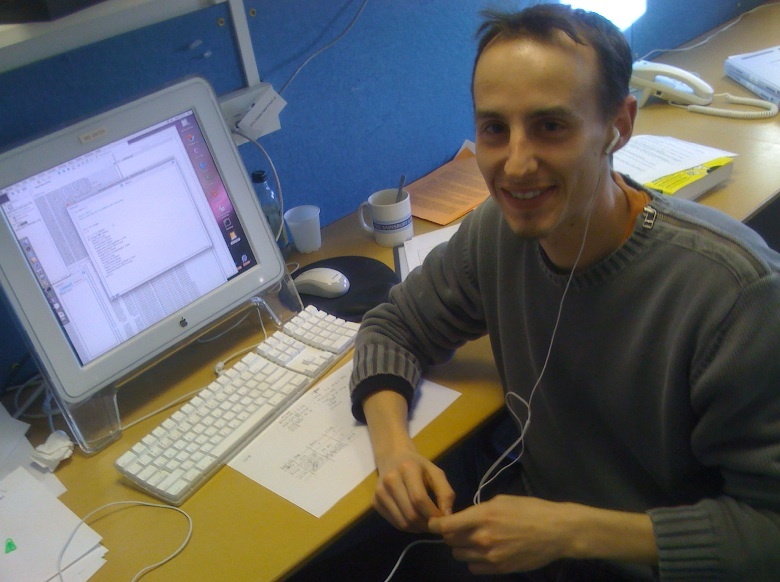 Rhys will be working closely with David Studholme who leads TSL Bioinformatics team. [September 5, 2008] Another article on potato late blight in the New Agriculturist. This time mentioning "blue 13", the emerging clonal lineage of P. infestans that dominates UK populations. [August 27, 2008] Travel mementoes. The International Congress of Plant Pathology in Torino, Italy, was a chance to catch up with friends and colleagues, such as Blake Meyers and Richard Michelmore. What a surprise when Blake and Sophien appeared dressed up with the exact same shirt! Any resemblance to Tweedledum and Tweedledee is purely coincidental. [July 26, 2008] Catherine Bruce, along with husband Alan and 15 month-old son MJ, visited this week-end. Catherine obtained her Ph.D. with Pieter van West at the University of Aberdeen. She then joined the Kamoun Lab at Ohio State before moving on to postdocs on Candida albicans and Toxoplasma gondii at Newcastle University. Watch Catherine perform a parody of an Elton John song on YouTube. 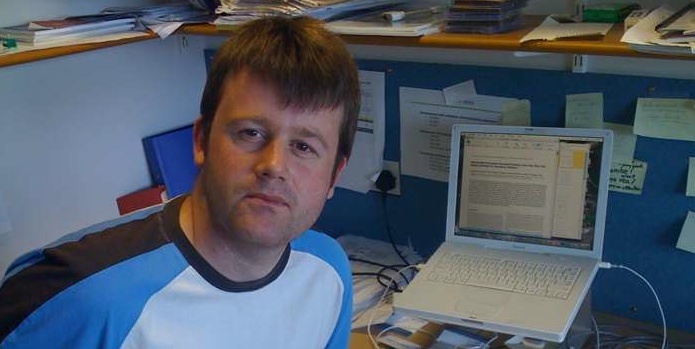 [July 24-25, 2008] Paul Birch, Scottish Crop Research Institute and Dundee University, visited the lab and presented a talk entitled "Manipulation of host defences by pathogen effectors". [July 21, 2008] A series of news reports describe Phytophthora ramorum and Phytophthora kernoviae as emerging threats to British trees. There was the usual irritation of seeing several news outlets, including The Independent, The Telegraph, and The Daily Mail, refer to Phytophthora as a "fungus". But the BBC News Channel topped them all with its report on "a deadly plant virus"! [July 20, 2008] Did you know that we have a connection with Pixar Animation Studios? Allison Styer, who as an undergraduate intern wrote the first scripts for PexFinder and co-authored Torto et al. (2003, Genome Res 13:1675), now works at Pixar. Find Allison in the production credits of Pixar's recent movie "Wall-E". 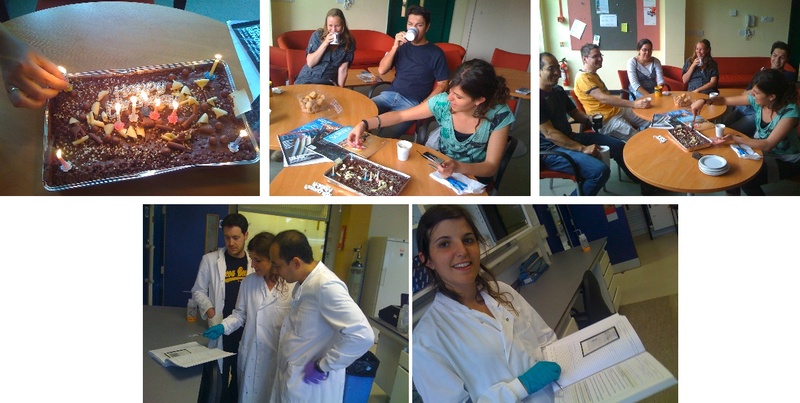 [July 9, 2008] Miriam Oses Ruiz, who recently finished her MSc at Wageningen University working with Jan van Kan, joined the lab. A quick birthday celebration and then off to the bench! [July 8, 2008] Check this interesting article in the New Agriculturist on the importance of potato as a subsistence crop, especially in the context of record high food prices. 2008 is the United Nations International Year of the Potato. Click here to find out more. [June 1, 2008] Back to the future. We welcome back to the lab Tolga (aka Osman) Bozkurt (left), Middle East Technical University, Ankara, Turkey, and Ricardo Oliva (right), Centro International de la Papa (CIP), Quito, Ecuador. Both Tolga and Ricardo previously spent time in the lab at Ohio State. [May 31-June 3, 2008] Into the wild! Liliana Cano and Saskia Hogenhout traveled to Colorado as part of the project on fungal mimicry of flowers (Puccinia monoica on Boechera sp.). A successful trip despite the snow and a stubborn deer that somehow bumped into the jeep. 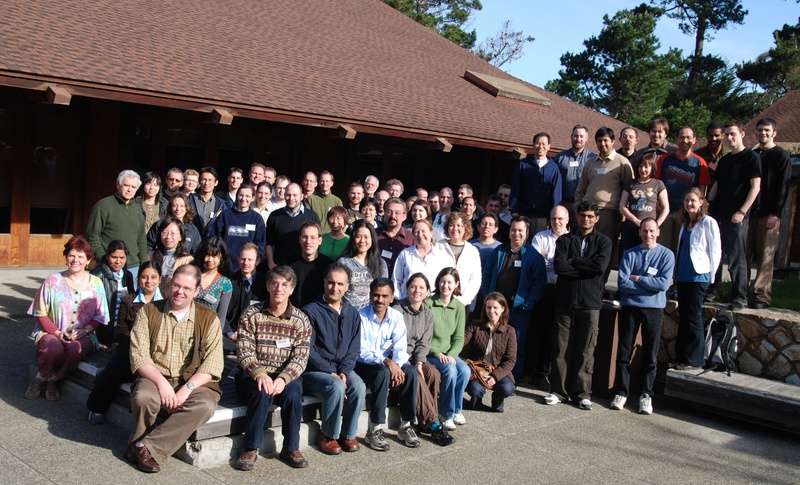 [May 9, 2008] We're back from Birnam, Scotland, where the entire lab attended the Annual Meeting of the Oomycete Molecular Genetics Network (OMGN) (~100 participants this year!). Great science but also time to catch up with colleagues, friends, and lab alumni. Many thanks to Paul Birch and his team at the Scottish Crop Research Institute for a wonderful meeting. Click here for more photos. [May 8, 2008] Our collaborative paper with Cynthia Damasceno and Joss Rose, Cornell University, on structure and evolution of Phytophthora glucanase inhibitors was featured on the cover of MPMI. Congratulations Cynthia and Joss! [April 21, 2008] Cyril Zipfel and Sophien Kamoun's groups celebrated in style the funding of their proposals by the BBSRC Plant and Microbial Sciences Committee. Cheers! 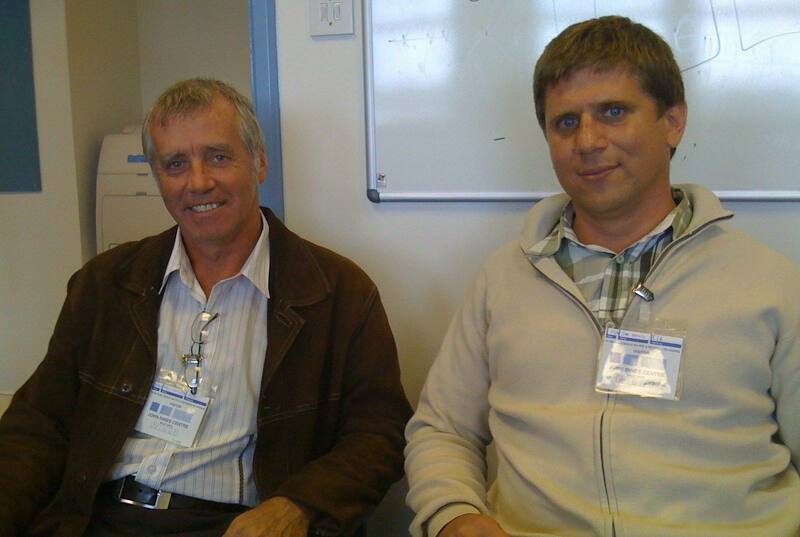 [April 10, 2008] Marc Ghislain and Jan Kreuze, International Potato Center CIP, stopped by to discuss potato late blight research. [March-April, 2008] Travel mementoes. (left) Zhu-Pin Lin, graduate student at the Department of Plant Pathology, National Taiwan University, Taipei, proudly displays her heavily highlighted copy of Armstrong et al. (PNAS, 2005). Note the use of 4 different colors! (right) Heavily annotated copy of Tian et al. (Plant Physiol, 2005) by Chunbo Liang, graduate student at the Institute of Vegetables and Flowers, Chinese Academy of Agricultural Sciences, Beijing. [February 4, 2008] Sebastian Schornack, Martin-Luther-University Halle-Wittenberg, joined the lab. A quick birthday celebration and then off to the bench! 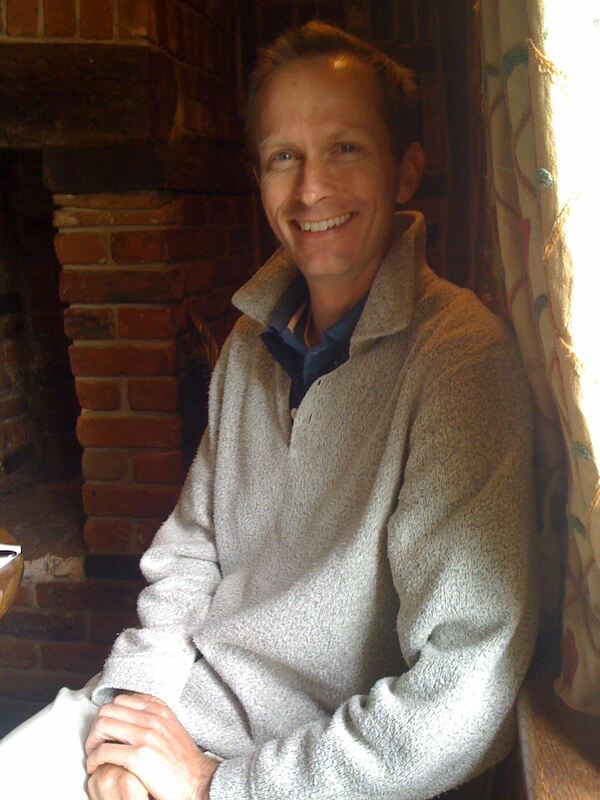 [January 31, 2008] Richard Emes, Keele University, visited the lab and presented a seminar titled 'Comparative genomics and adaptive evolution: being positive about selection'. [December 21, 2007] Mireille van Damme received the Leverhulme Trust Technology Transfer Award for her thesis work in the van den Ackerveken lab, Utrecht University, and just had one of her thesis chapters accepted in Plant Journal. Congrats Mireille! [November 19, 2007] Renier van der Hoorn visited the lab and presented a seminar titled 'Activity-based profiling of plant-pathogen interactions'. 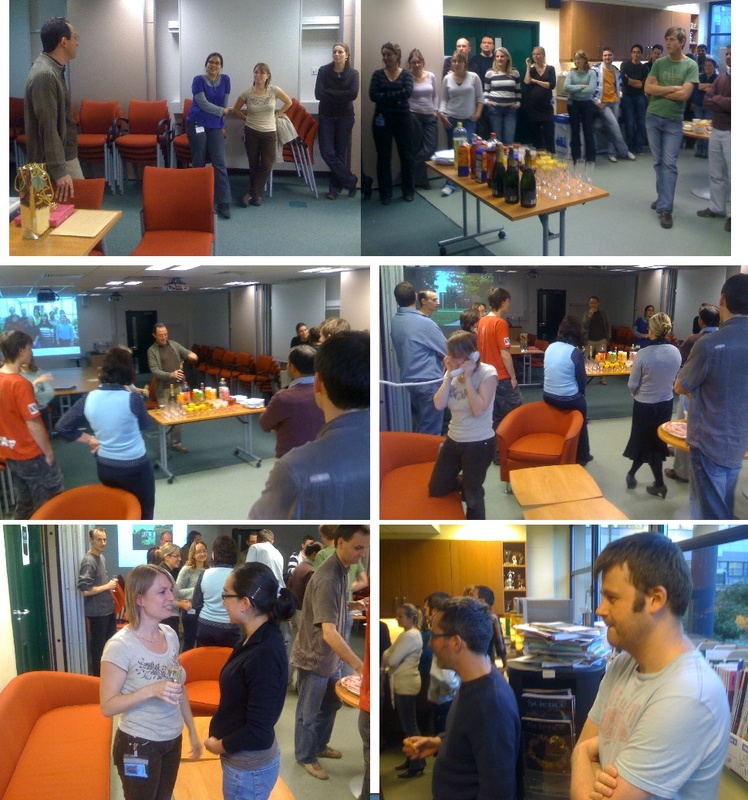 [November 15, 2007] We hosted Marco Thines for discussions on oomycete evolution and taxonomy. Marco presented a talk "Phylogeny and diversity of Hyaloperonospora and Hy. arabidopsis cluster- a model system for investigating evolution, speciation and host-pathogen relationships of obligate parasitc pathogens". [October 31, 2007] Lab opening complete with a ribbon cutting ceremony! Research in our laboratory is supported by the Gatsby Charitable Foundation.